Little Red Horns - Note Card - A cute big eyed kitten with little red horns all dressed up wit..
Little Red Horns - Keychain - A cute big eyed kitten with little red horns all dressed up with a pal..
Little Red Horns - Magnet - A cute big eyed kitten with little red horns all dressed up with a pale ..
Little Red Horns - Ring - A cute big eyed kitten with little red horns all dressed up with a p..
Little Red Horns - Cuffed Bracelet - A cute big eyed kitten with little red horns all dressed up wit..
Little Red Horns - Bookmark - A cute big eyed kitten with little red horns all dressed up with a pale pink bow. 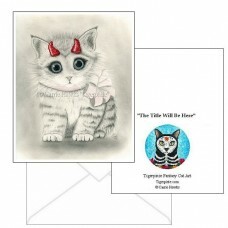 She and her friend, Little Blue Horns are a purrrfect too adorably sweet to be evil pair. 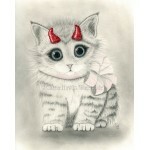 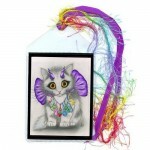 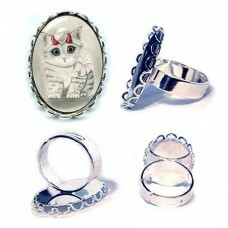 Little Red Horns - Note Card - A cute big eyed kitten with little red horns all dressed up with a pale pink bow. 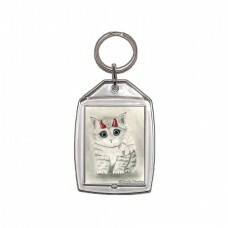 She and her friend, Little Blue..
Little Red Horns - Keychain - A cute big eyed kitten with little red horns all dressed up with a pale pink bow. 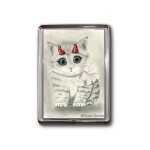 She and her friend, Little Blue Horns ..
Little Red Horns - Magnet - A cute big eyed kitten with little red horns all dressed up with a pale pink bow. She and her friend, Little Blue Horns ar..
Little Red Horns - Ring - A cute big eyed kitten with little red horns all dressed up with a pale pink bow. 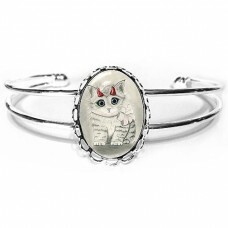 She and her friend, Little Blue Horn..
Little Red Horns - Cuffed Bracelet - A cute big eyed kitten with little red horns all dressed up with a pale pink bow. She and her friend, Little Blue..
Little Red Horns - Earrings - A cute big eyed kitten with little red horns all dressed up with a pale pink bow. 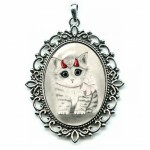 She and her friend, Little Blue Horns ..
Little Red Horns - Cameo Necklace - A cute big eyed kitten with little red horns all dressed up with a pale pink bow. She and her friend, Little..
Little Red Horns - Prints - A cute big eyed kitten with little red horns all dressed up with a pale pink bow. 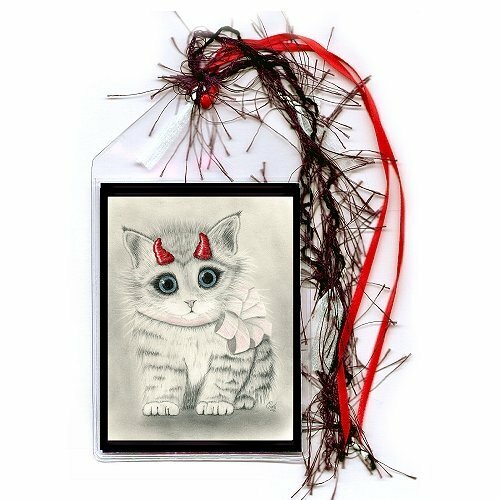 She and her friend, Little Blue Horns ar..
Little Red Horns - Limited Edition Canvas Prints - A cute big eyed kitten with little red horns all dressed up with a pale pink bow. 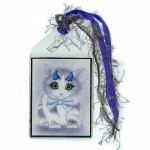 She and her frien..
Little Blue Horns - Bookmark - A cute big eyed kitten with little blue horns all dressed up with a pale blue bow tie. 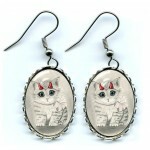 He and his little friend, Little..